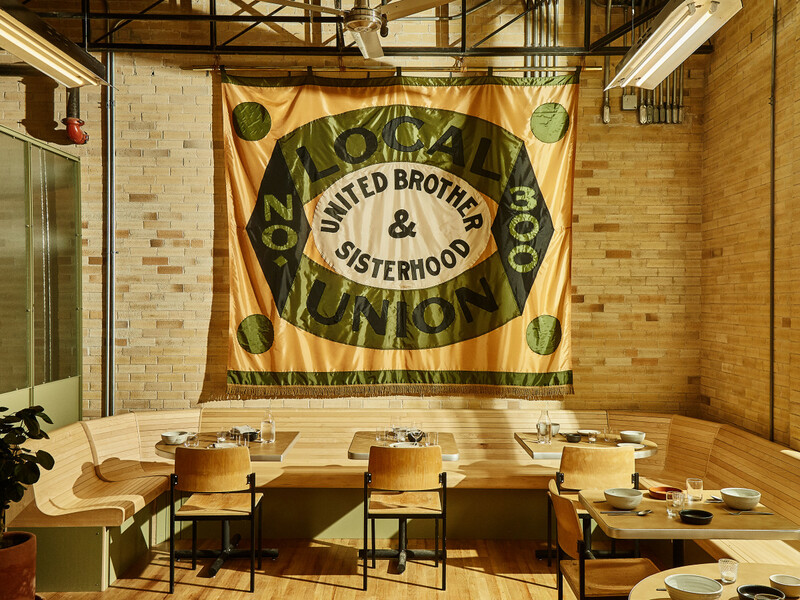 It may look nondescript from the outside, but a former union hall is now the home of Austin’s hottest new dining destination. 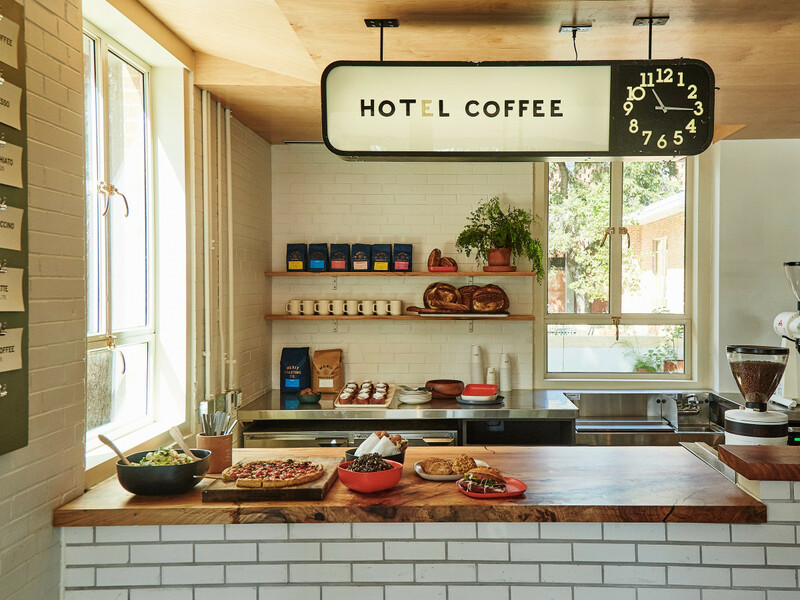 On November 2, hospitality group Mighty Union announced the opening of the Carpenter Hotel and its two on-site eateries — Hot L Coffee and Carpenters Hall — at 400 Josephine St. near Barton Springs Road. The projects come from some very big names. 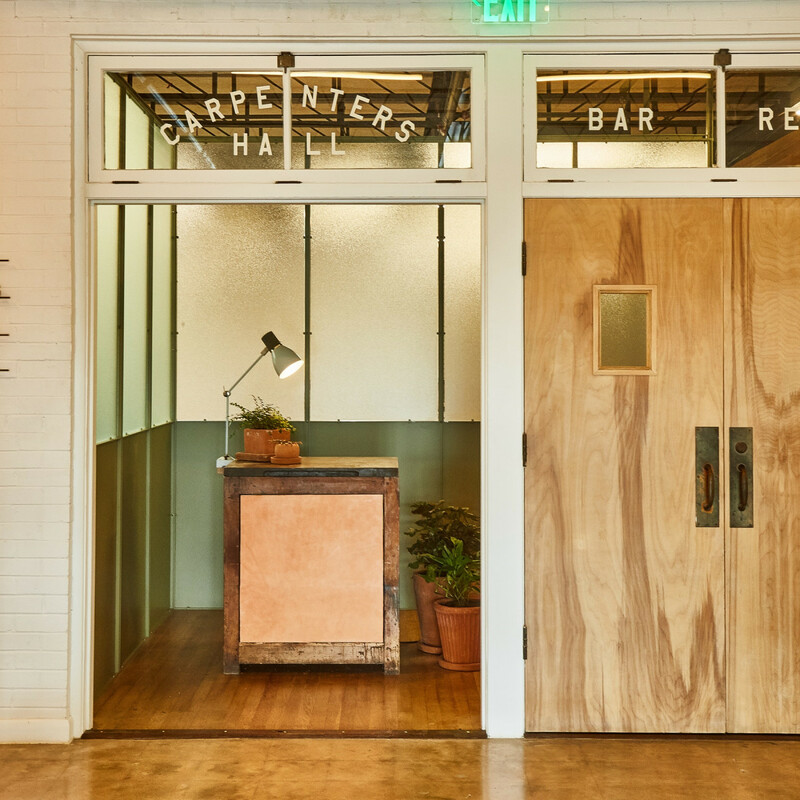 Former Olamaie executive chef Grae Nonas returned to Austin after a stint in Minneapolis to lead the menu at Carpenters Hall. During his tenure at Olamaie, Nonas was short listed for the James Beard for Rising Star Chef of the Year, and won Food & Wine's 2015 Best New Chef award alongside then-collaborator Michael Fojtasek. Christina Skogly Knowlton, who has worked with celebrity chefs like Marcus Samuelsoon and Tom Colicchio, oversees the food and beverage program for the property. Husband Andrew, a longtime Bon Appétit editor responsible for the yearly Best New Restaurant list, consulted on the project. As one might expect from such a powerhouse team, the menus at both concepts nod to 2018’s most of-the-moment trends. The coffee shop is heavy on baked items like kolache and the flagship eatery’s New American offerings pay mind to approachability, heritage cooking, and — of course — Texas cuisine. Although there are touches like country ham with hot pepper jelly at Carpenters Hall, Nonas’ dishes takes more far-ranging inspiration than his work at Southern-focused Olamaie. 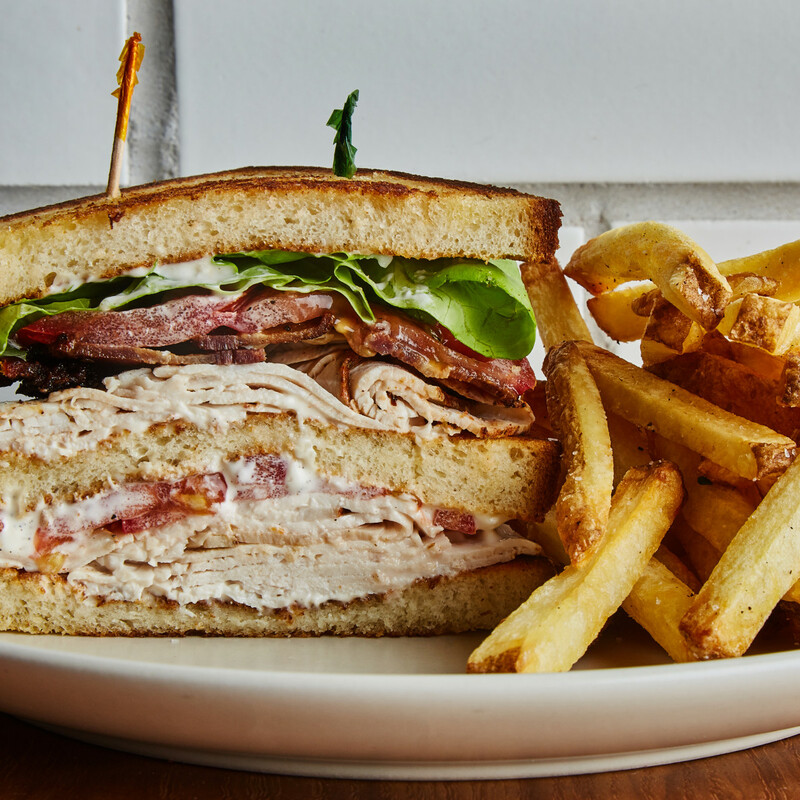 According to a release, many of the breakfast and lunch items are classic Americana, like a turkey club sandwich served on milk bread, a chopped salad with salami and sharp provolone, and a griddled burger with sweet onions. Breakfast items like heart-shaped waffles, a migas scramble, and Spanish fried eggs with beef cheek barbacoa round out the accessible offerings. 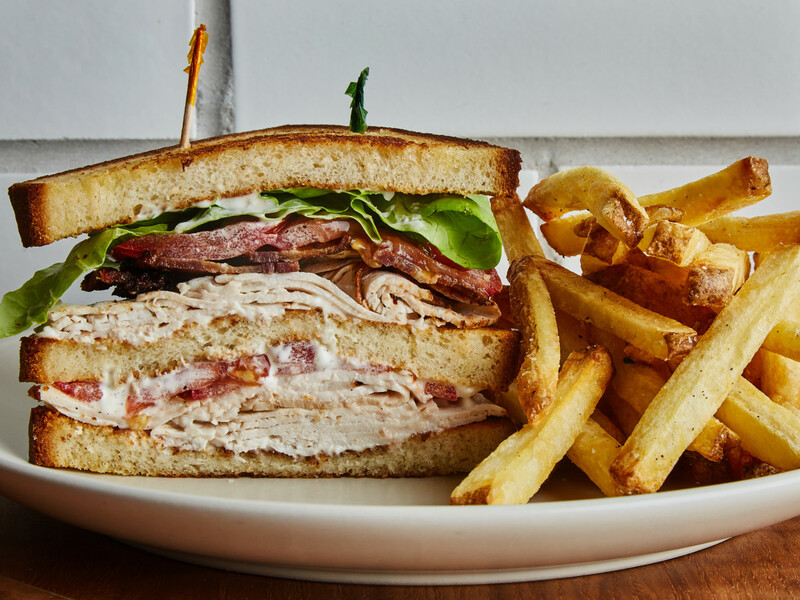 For dinner, the menu spans the globe, tempting with chicken schnitzel with a black garlic chimichurri, cavatelli with lemon, and black pepper, and steak frites with horseradish sauce. There is a simplicity to many of the dishes, including radish served with green goddess dressing and a bean dip with sesame crackers. That spareness is reflected in interiors of both restaurants. 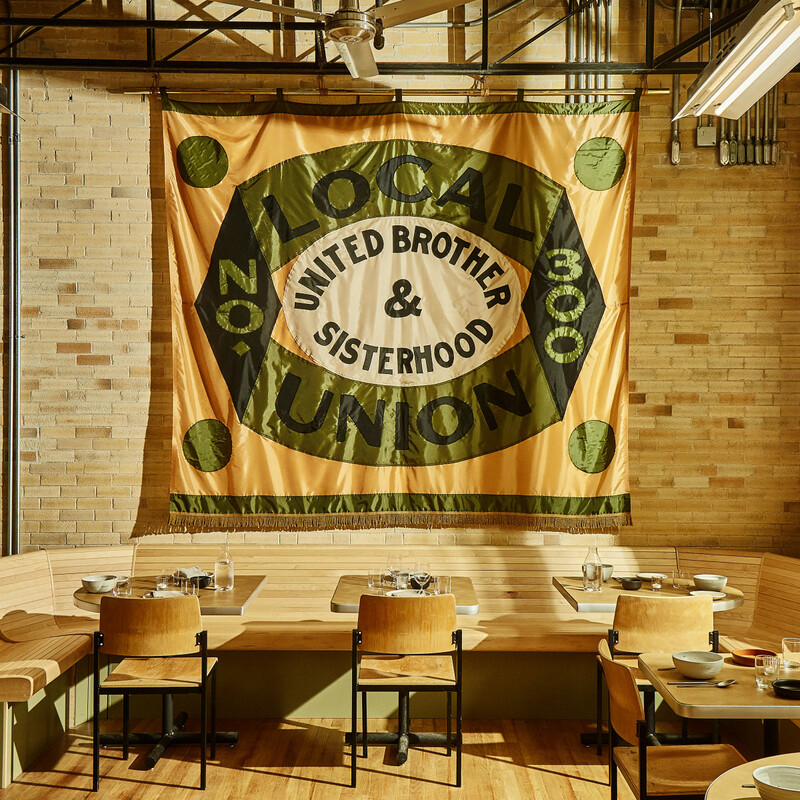 Designed by local firm Specht Architects, the spaces honor the midcentury bones of the 1948 building with vintage touches like a silken union banner. 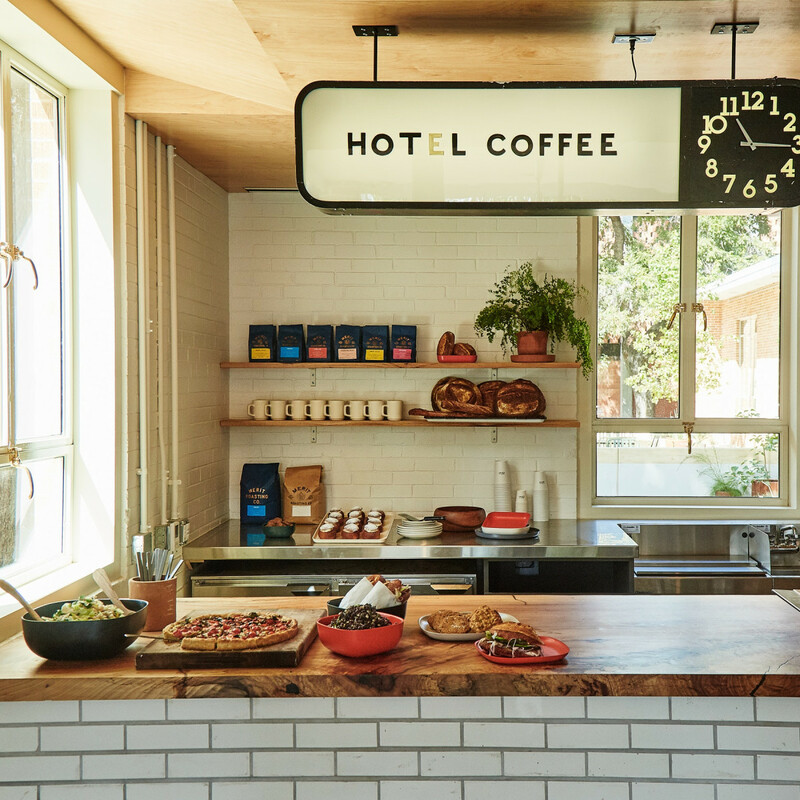 The Hot L Coffee cafe takes a more playful approach with institutional touches like a metal menu board outfitted with binder clips. 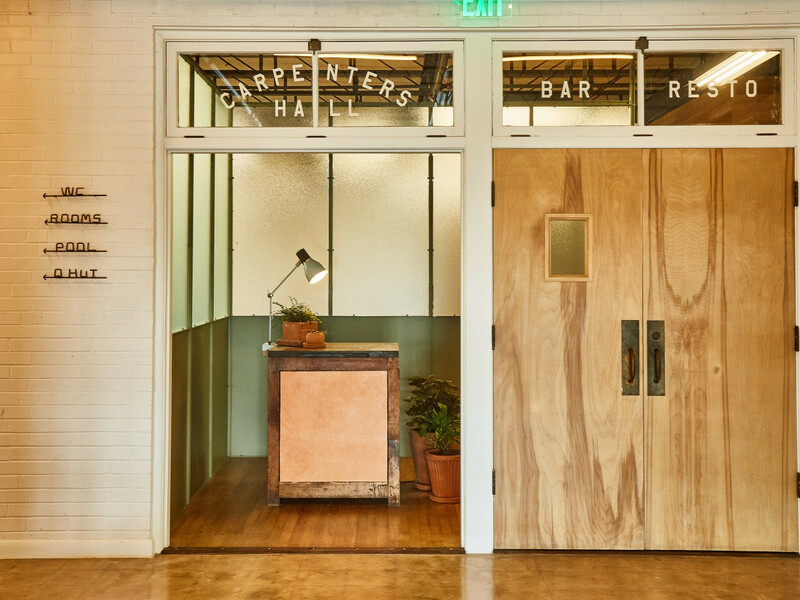 Carpenters Hall takes its cues from the diner decor with an unassuming mix turquoise paneling, bent wood furniture, and fluorescent tube lighting. White subway tile ties the two concepts together, whether it's wrapping Carpenters Hall’s open kitchen or the counter at Hot L.
Indeed the use of that utilitarian touch provides a tidy summation for the project as a whole. It’s at once unassuming and trendy, a little pretentious but knowingly so. if Wes Anderson gave up filmmaking for a culinary career, these are just what his restaurants would feel like.